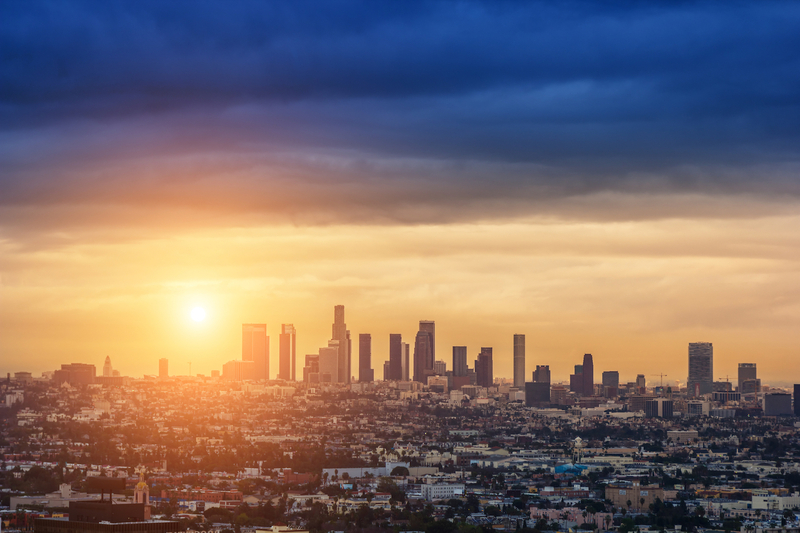 Californian dreaming: A sunrise over the Los Angeles city skyline. If you’re one who doesn’t enjoy travelling in the peak of summer, then you should consider visiting LA in February. It’s cooler while still being pleasant and there’s fewer crowds. You just need to hire a car from LA Airport, then you can check out these top things to do in February. You thought the New Year was done and dusted in January… think again. February brings Chinese New Year as the east meets the west in LA. What better place to celebrate Chinese New Year other than Chinatown? Expect tens of thousands of people to line the streets, with firecrackers, live music and dozens of floats in LA’s famous Golden Dragon Parade. Be romantic and plan an epic Valentine’s Day for your partner in LA! You can have a candlelit dinner at a fancy restaurant by the ocean or with mountain views. If you really want to impress your date with an extravagant experience, take a sunset flight over the City of Angels, complete with champagne and chocolate roses. Or opt for a hint of Italian romance by taking a gondola ride along one of Southern California’s inland waterways. Every year since 1959 the music industry has been celebrating the best of the year with the Grammy Awards. You may not be able to get tickets to get into the Grammy Awards, where you can dine with the stars. But you can watch them arrive at the Staples Center, in front of the dazzling lights and cameras. There’s nothing like being in LA when the Grammy Awards are live! Have an educational experience by visiting one of LA’s several museums. There’s the J Paul Getty Museum and the LA Country Museum of Art, which offer impressive installations. Not to mention several other great venues, like the National History Museum. The good news is there’s usually at least one day a month where you’re guaranteed free entrance. Make sure you check out the websites in advance to secure your reservation and plan your trip around the free days. Put on your kilt and get out the bagpipes for one of the most exciting events to grace the shores of LA in February. Jump on board the legendary Queen Mary ocean liner, which is docked in Long Beach. Celebrate her Scottish heritage with Scottish dancing, music, whisky, beer and food. Watch athletes compete in traditional time-honored events like the hammer throw, the caber (tree trunk) toss, and others.